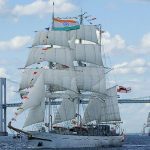 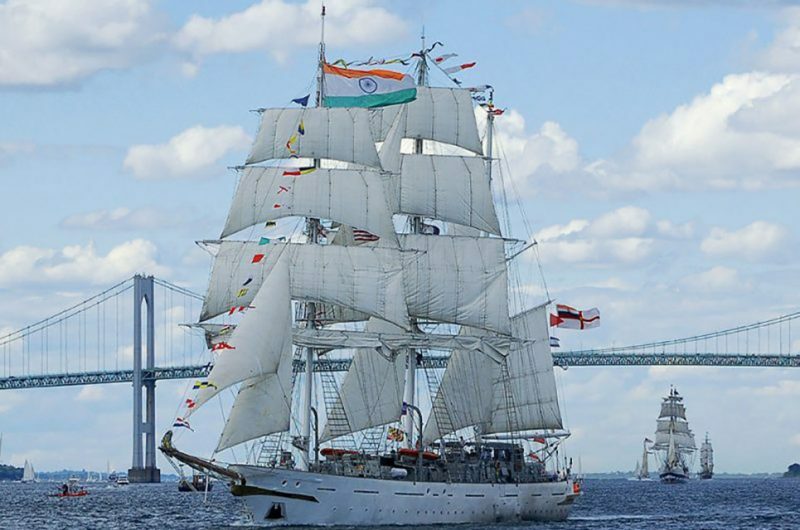 The Indian Navy sail training ship Tarangini (her name comes from the Hindi word ‘Tarang’ meaning waves) is a three-masted steel barque, designed by Colin Mudie and built at Goa Shipyard Limited, Vasco da Gama, Goa, India, in 1996/7. 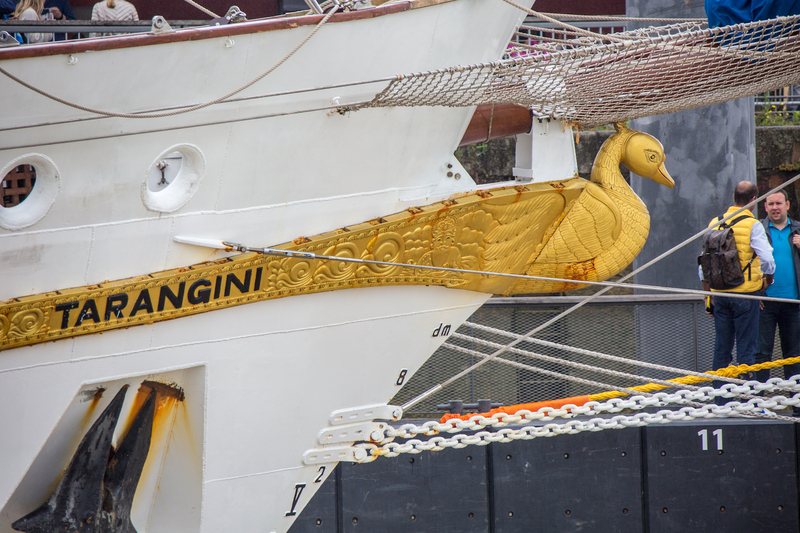 Tarangini is a near sister to STS Lord Nelson with the same hull and rig though with a different layout and deckworks. 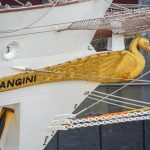 In 2005 Tarangini entered all the 2005 Sail Training International Tall Ships’ Races – it was the first time that she joined in European races and she was the first Indian vessel to do so. 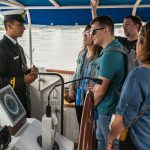 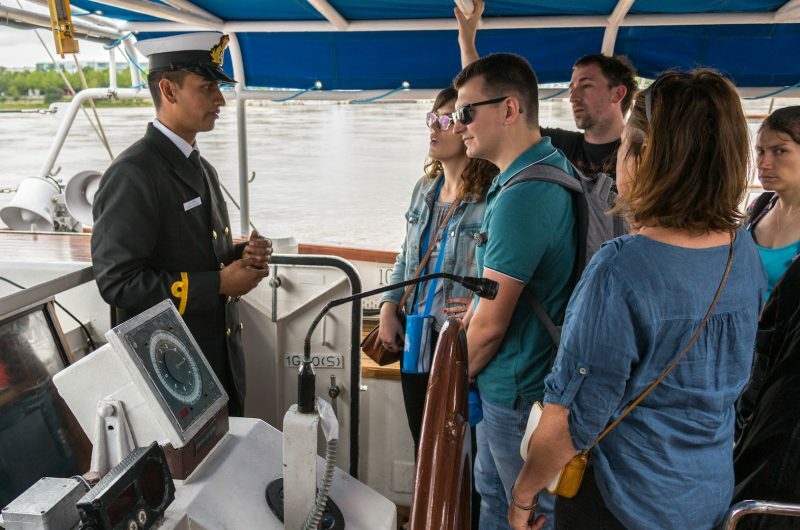 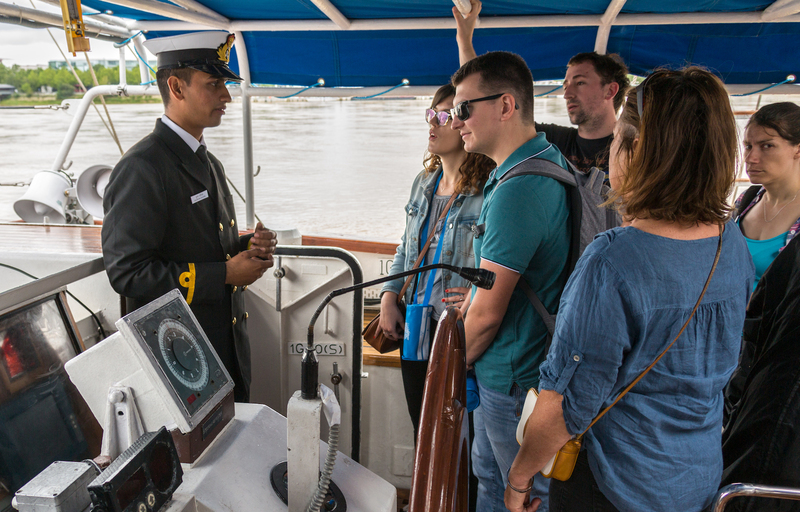 The first time that an Indian ship had ever participated in races was when Tarangini sailed in the American Sail Training Association’s 2003 Great Lakes series. 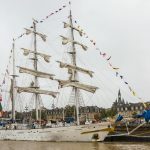 These races were a highlight of her world circumnavigation in 2003-4; she was very successful, achieving first overall in her division, winning the ASTA award for International Friendship and Understanding, voted for by the captains and crews of the other competing vessels as the ship which did most to promote international goodwill and cultural understanding during the series of races. She also won the Long Distance Award, for the vessel that travelled furthest to participate. 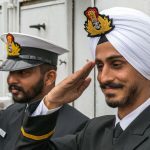 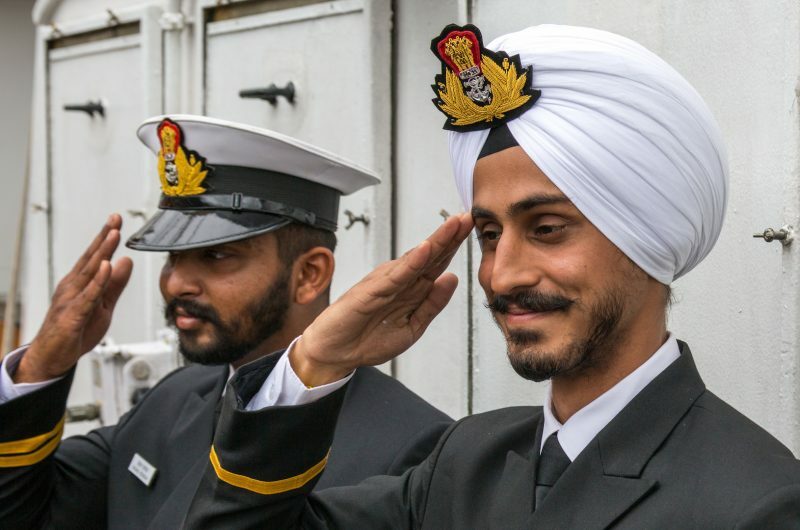 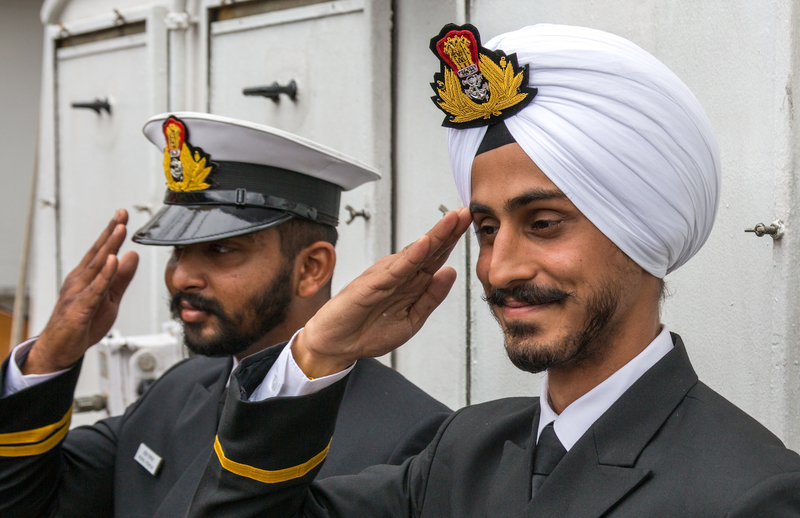 Tarangini has a permanent crew of six officers and 30 sailors and takes a class of 30 Indian Navy cadets. 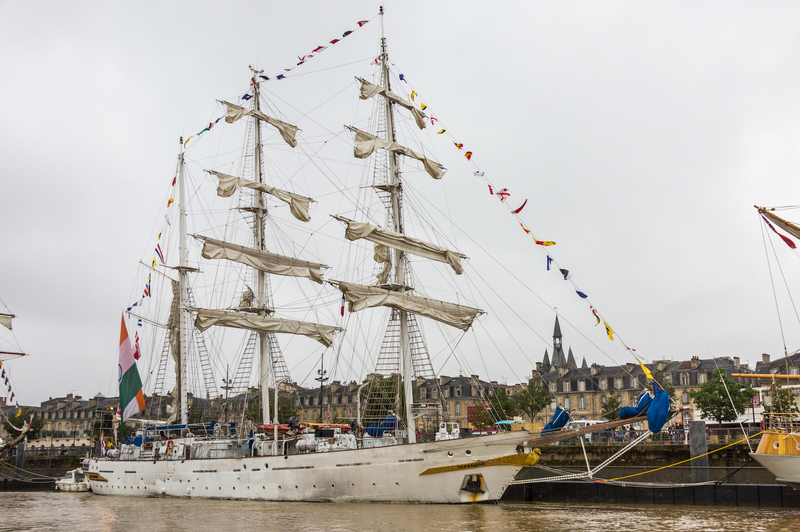 Her sparred length is 54 metres, and she carries 1,035 square metres of sail.